The world of business and commerce is now governed by a set of principles and conditions to be followed by any institution or brand that wishes to achieve a high rate of sales of its products or services to the public, which ultimately leads to the success of the enterprise as a whole. Perhaps one of the most important principles and conditions that govern the success of the business world and trade, both e-commerce or retail, is to recognize the effective role of marketing, which is the main factor in reaching as many as possible of the audience – both actual and potential – and increase their awareness of a product or service What a company, institution, or brand offers in the world. The role of marketing depends not only on increasing the public’s awareness of the product but also on moving it to much higher levels, becoming the influential factor in influencing the public to make a purchase decision often. When talking about marketing, we can not lose sight of the role of digital marketing, which has recently proven to be one of the most important factors in achieving the objectives of any service provider in the world. Speaking of digital marketing, it must be taken into account the high capacity of social media platforms to achieve the widespread of any brand by enabling it to reach the largest number of target audiences through its advertising services on its platforms. Hence, in this article, we will present one of the most inspirational case studies on how to best benefit from all social media platforms’ advertising services to boost campaign awareness and brand recognition. This inspirational success story belongs to LC Waikiki, one of the most popular fashion brands worldwide. 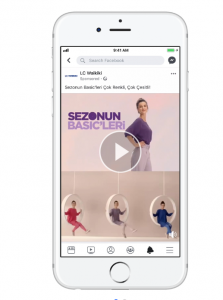 The Turkish retail merchant “LC Waikiki” launched a brand new fashion line with Facebook and Instagram video ads, that boosted campaign awareness and brand recognition by eight points. Coming to the company’s story, LC Waikiki is considered to be one of the most popular fashion brands that started its journey in France in 1988, continuing after 1997 as a Turkish brand under the umbrella of LC Waikiki Mağazacılık Hizmetleri Ticaret A.Ş. Now, the company owns more than 895 stores in 43 countries around the world. It believes in a great philosophy that “Everyone deserves to dress well” enabling people to enjoy accessible fashion through quality products at affordable prices. LC Waikiki, with its overseas investments that started in Romania in 2009, aims to be “one of Europe’s three most successful apparel retailers by 2023”. LC Waikiki is managed by Küçük and Dizdar families. Continue reading this article to discover what this fashion brand did to Boost campaign awareness and Brand Recognition. As explained, “LC Waikiki” had a specific goal, which is boosting brand awareness while launching a new line of colorful basics. Accordingly, they have partnered with SEM Media Services, LLC which is considered to be one of the biggest digital marketing agencies. SEM Media Services is a knowledgeable online marketing firm with almost a decade of proven results. They have a proven track record with a wide-ranging list of corporations from diverse backgrounds. Whether it be a small entrepreneur just getting started, a successful Orthodontist wanting to increase revenue, or a fortune 500 manufacturer wanting to gain a national presence with their OEM department. LC Waikiki needed to spice up public awareness whereas launching a replacement line of vibrant basics. The distributor hoped that stimulating campaign awareness among a large audience would cause increased sales for its fun new seasonal line. 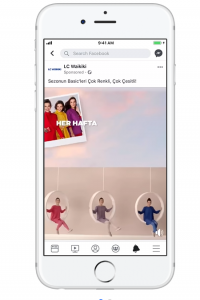 To attract new customers to the new clothing line, LC Waikiki ran a video campaign across Facebook and Instagram, as well as TV, cinemas and other out-of-home locations. The campaign was designed to initially raise awareness and then encourage conversions. 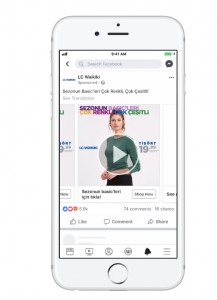 The brand ran video ads, Instant Experience and ads in carousel ad format in Facebook News Feed, Instagram feed and Stories, targeted to a broad audience of men and women aged 18–35, and parents aged 20–45. The campaign creative made a splash by presenting a familiar celebrity in the bright colourful options of the new line, and showed her outfit changing with each flash of the camera. SEM Media Agency helped LC Waikiki deliver the campaign in 3 phases, focusing on awareness, consideration and purchase. In the awareness phase, ads were targeted to a broad audience. In the consideration and purchase phases, different ads were retargeted to people who had watched the videos in the awareness phase. The brand reached the largest audience possible by keeping its content changing. Utilizing Facebook and Instagram, LC Waikiki was able to reach fashion-attentive potential customers at a time when many retailers compete for attention in the autumn season rush. 5.9% additional lift in website visits (compared to people who didn't see an Facebook ad).